There are 6 blog entries for November 2012. Tuesday, November 13th, 2012 at 3:43pm. Congratulations to Emily Ray-Porter who was awarded top producer for Dave Perry-Miller & Associates in the Dallas Uptown/Downtown market. Emily brings expert downtown luxury living to Highrises.com and we love having her on our team. Friday, November 9th, 2012 at 8:51am. OCTOBER HOME SALES INCREASE MORE THAN 33% OVER LAST YEAR Year-To-Date Closings Exceed Total Closing for All of 2011 NASHVILLE, Tenn. (Nov. 8, 2012) – There were 2,312 home closings reported for the month of October, according to figures provided by the Greater Nashville Association of REALTORS. This figure is up 33.7 percent from the 1,728 closings reported for the same period last year. Year-to-date closings through October are 21,752, a 26 percent increase from the 17,259 closings reported through October 2011. The total closings year-to-date in 2012 exceeds the 20,624 total closing for all of last year, with two full months remaining. Thursday, November 8th, 2012 at 5:14pm. Arizona home values increase 18.7% from last year. This data shows Arizona at the top of a trend as house values nationwide increase 5% compared with last year according to Corelogic. Other cities followed behind Arizona’s fast paced recovery including Idaho rising 13.1%, Nevada at 11% and Houston at 6.6% increasing value compared with last year. Arizona has a variety of Highrise condos for different needs including starter condos under 100K at the Landmark Towers and a luxury highrise penthouse suite at Landmark Condos for 2.55M. 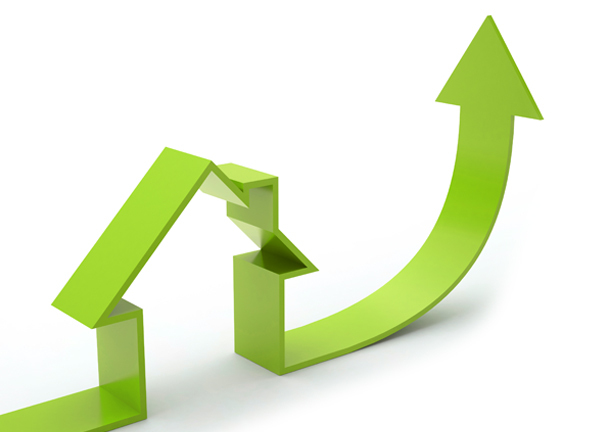 Housing Market Could Peak in 2015! Wednesday, November 7th, 2012 at 3:04pm. The Housing Market is Pushing Forward. Foreclosures declined 7% in September and the number of foreclosed houses are down 50% from 2010. CNN money even titled a recent article “The New Housing Boom”. According to CNN Money, Barclays Capital suggests the housing prices could hit another peak as soon as 2015. "In our view, the housing market had undergone a dramatic over-correction during the prior five years, resulting in pent-up demand for housing purchases that would spark a rapid rise in housing starts," said Stephen Kim, an analyst with Barclays, in a note to clients. Friday, November 2nd, 2012 at 6:38am. The trend in economic numbers continues to improve and the popular theme is 4 year highs. It goes without saying that there is still a long way to go, but the signs of recovery from the Financial Armageddon are everywhere. Unemployment numbers are the best they have been in 4 years and the closely watched labor participation rate ticked up today as well. We have seen several months of the Case Shiller home price index rise in all 20 metros areas that it is tracked in and this is closer to a 6 year best when you take out the artificial inflation from the first time home buyer tax credit. Consumer Confidence is at 4 years highs too.